Struggling Dumbarton failed to win for the eighth successive Ladbrokes Championship game as they were beaten 2-1 at Dundee United. Sons defender Gregor Buchanan headed into his own net following Scott Fraser's left-wing corner to put the Tangerines ahead eight minutes into the second half at Tannadice. The hosts doubled their advantage 13 minutes later when William Edjenguele converted into the bottom right corner after a good save from Dumbarton goalkeeper Alan Martin. 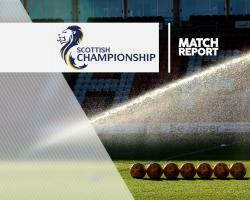 Striker Robert Thomson pulled one back from close range in the 73rd minute but Stevie Aitken's second-bottom side were unable to salvage anything from the game.